Many print and marketing service providers have found that personalization is a great way to add value to the communications they create for their clients. This makes sense: personalized direct mail can often generate up to 15 percent better response rates than static direct-marketing pieces. But the challenge for many providers is that they are often working with clients who don’t have enough data about their target customer to create a personalized campaign. locr solves that challenge, giving PSPs a way to create highly personalized campaigns using one simple data point: the customer’s address. To create personalized direct mail, all the provider needs to do is deliver the customer’s mailing list to locr. locr takes this data and creates a high-resolution, personalized map for each address in the database. 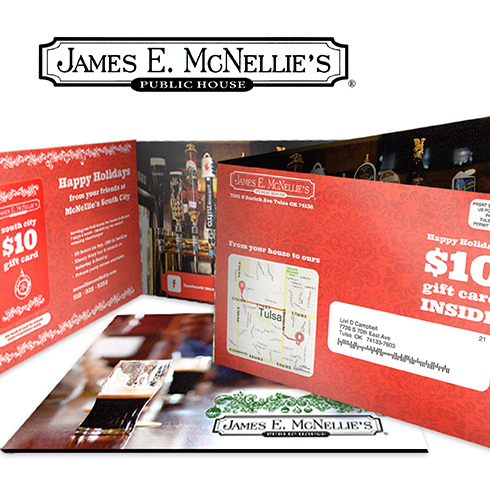 These maps can then be easily included in a direct mail campaign, helping to create a connection between the prospect and the offer. Best of all, print and marketing service providers can use these personalized maps as the beginning of a personalized marketing campaign. That’s because once the customer responds to the direct mail with the personalized map, the provider can get further information about them to include in future mailings. Read our case study about a print service provider that used personalized maps to generate a 24 percent response rate and capture data about its customers.